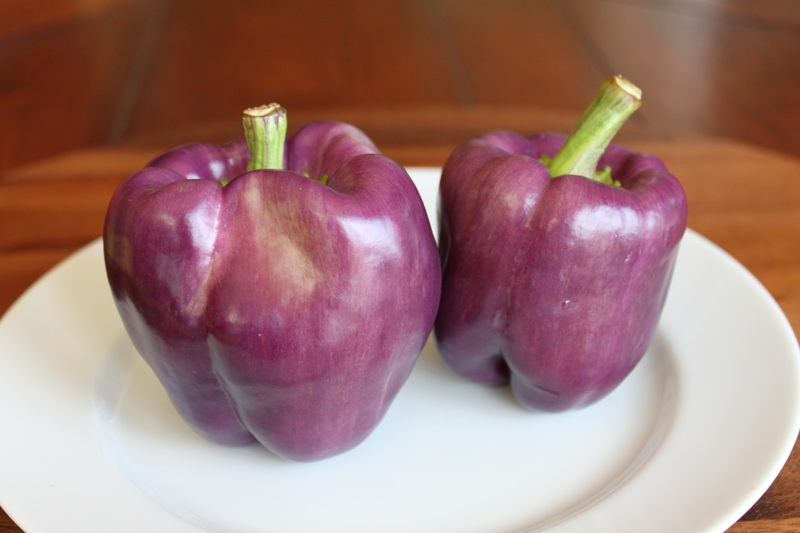 Aren’t these purple bell peppers beautiful? Maybe it’s just because I haven’t seen one before, or because they’re so far outside of the normal “vegetable colors” (right, other than eggplant), but I was so happy to come up on these guys at one of my favorite area specialty markets. A bit of research reveals little, only stating that the color, in addition to green, can be red, yellow, orange, white, purple or rainbow depending on when it’s harvested and whether it was deliberately harvested to have a tendency to be purple. Entry filed under: Spotlight on..., Uncategorized. Tags: peppers, purple, purple peppers.